Results from sobriety tests performed by the side of the road and in state-certified labs provide key pieces of evidence for charging and convicting Ohio drivers for driving under the influence of drugs or alcohol. 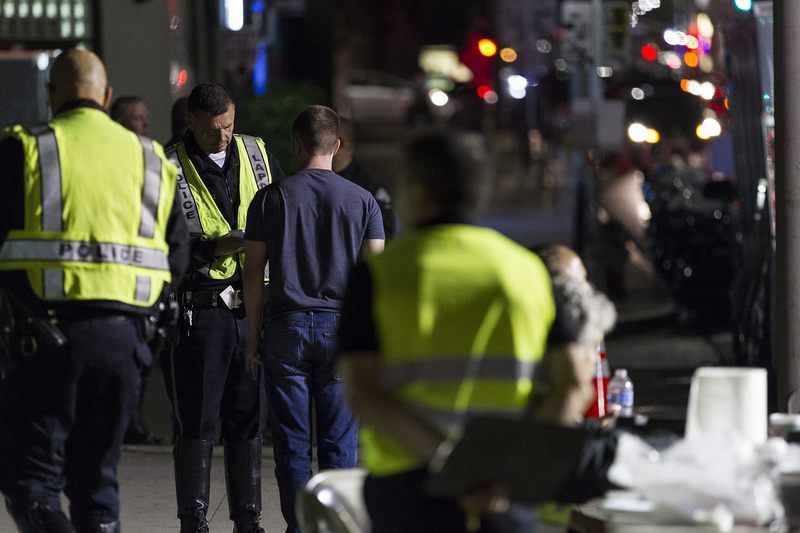 Neither the field sobriety tests (FSTs) nor breath, blood, and urine tests are 100-percent reliable, however. Several physical conditions and medications can produce effects that police and lab technicians mistake for signs of impairment and intoxication. As an experienced DUI defense attorney in Columbus, Ohio, Colin Maher of The Maher Law Firm has helped many clients clear their names after getting falsely and unfairly accused of the offense state law refers to as operating a vehicle while intoxicated (OVI). A few of the physical problems and drug therapies that can confuse sobriety tests have brief descriptions below. Lazy eye—The first FST, an officer who stops you for suspicion of driving under the influence may administer, is called a horizontal gaze nystagmus. You can refuse to participate. If you agree, the officer will ask you to follow the tip of a small flashlight or pen using only your eyes. Any problems you have with intentionally controlling your eye movements (e.g., lazy eye, strabismus, cross-eye) can be taken as signs you have been drinking or taking drugs. Brain injury—Any sort of head trauma can inflict lifelong difficulties with muscle control, vision, balance, and concentration. While you may be fine to drive, the unique movements and instructions involved with field sobriety tests can stretch your abilities to the breaking point. Inner ear problems—Two of the most commonly administered FSTs require impeccable balance. Any form of ear infection, vertigo, or damage to the fine bones of the inner ear can make walking a straight line heel-to-toe and standing on one leg without swaying or falling impossible. Speech impediments—Officers who make DUI/OVI stops listen closely for slurred words and confusingly phrased or halting responses. Hearing problems—Key to passing field sobriety tests is following verbal instructions exactly. Mishearing what an officer tells you to do and, subsequently, “being noncompliant” can translate into test failure. Bone or joint injury—Performing the walk-and-turn test and the one-leg stand test can be difficult-to-impossible if you suffer from a sprained ankle, injured knee, bad hips, or lower back pain. Arthritis—As with injuries, long-term joint pain and stiffness limits mobility and flexibility. Obesity—Performing the one-leg stand can require significant strength and stamina for even thin people. Old age—See all of the previous items. Also know that tremors and neuropathies (i.e., tingling, numbness) can cause poor performance on field sobriety tests. Prescription pain medications—OxyContin, Vicodin, Percocet, and all combination tablets or capsules containing hydrocodone are classified as opioids, which are chemically very similar to opium and heroin. Even low therapeutic doses of such medications can adversely affect balance, speech, and alertness. ADHD drugs—Ritalin and similar medications taken to control symptoms of attention deficit/hyperactivity disorder contain amphetamines as active ingredients. Using ADHD drugs can make you jumpy and distracted. Antianxiety medications—Xanax and other medications prescribed for emotional and mental disorders can make users drowsy and unable to fully focus their eyes during a close inspection. Muscle relaxants—Taking Flexeril or a similar medication can make you a little too loose. Sleep aids and cough and cold medications—Even mild drowsiness looks like intoxication to many police officers. Many liquid over-the-counter cough and cold remedies contain alcohol. Therapeutic levels of opioid painkillers, ADHD drugs, and other medications marked as being in Schedules II-IV can register as too high to drive legally. Working with your Ohio DUI/OVI defense lawyer to challenge laboratory drug and alcohol test results is always a wise decision. If you need help fighting a poorly performed or incorrectly interpreted drug or alcohol test, request a consultation by calling attorney Colin Maher at (614) 205-2208 or scheduling an appointment online.